France has emerged as the most desirable travel destination in Europe by Muslim tourists particularly among Malaysian travelers, according to a poll of travelers in the Middle East and Southeast Asia. 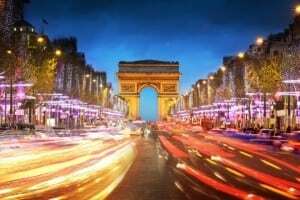 Of the 400 Muslim respondents from Saudi Arabia, Malaysia, and the United Arab Emirates, 30 percent cited France as their top European destination, followed by England and Italy (tied at 28 percent), Germany and Turkey (tied at 26 percent). France is particularly popular among Malaysian travelers, 28 percent of whom cited the country as their top pick. The results of the Muslim Travel Index 2014 were released out of the Halal Tourism Conference held in Andalucia, Spain earlier this week. According to the report, the halal tourism sector was worth $140 billion last year, representing 13 percent of global travel expenditures and is expected to rise to $192 billion by 2020. Another report from DinarStandard also predicted that 14 percent of international trips will be undertaken by Muslims by 2020, outpacing the global average when it comes to travel growth. In the UK alone, visitors from the Middle East spent £1.1 billion ($1.8 billion) in 2013.